After a trademark application is filed, it will be placed in a queue to be examined by a trademark examining attorney at the USPTO. The current USPTO records show that it takes an average of 2.7 months between the time of filing and the time of first action on the application. The USPTO targets between 2.5 and 3.5 months for a first action. In other words, it will take about 2 or 3 months for the office to substantively consider your application. Further, USPTO records also show the total pendency average to be 9.5 months. Total pendancy is measured from filing to abandonment, allowance, or registration. Currently, the USPTO targets total pendency to be at 12 months or less. If your application receives an office action with a rejection or objection, it may take longer. The USPTO usually provides six months to respond to an office action. If the applicant takes the full six months to respond, then the application pendency will correspondingly be extended six months. If your application is an intent to use application, the allowance (“notice of allowance”) is not the end of the process. You must file a statement of use before a registration is issued. You generally have six months to file a statement of use from the notice of allowance. Even if you file a statement of use right away, the USPTO estimates that it will take 3.5 months from the filing of a statement of use until you receive the registration. Therefore, if you file a statement of use right away after notice of allowance the total pendancy from filing to registration for an intent to use application is 13 month on average. The total pendancy to registration of a use-based application is 9.5 months on average. 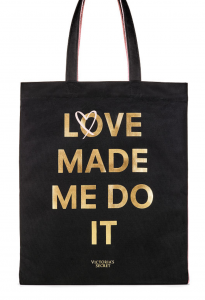 Love Made, LLC sued Victoria’s Secret (VS) alleging the that VS’ use of LOVE MADE ME DO IT on a tote bag and on a neon sign infringed Love Made’s trademark and copyright. 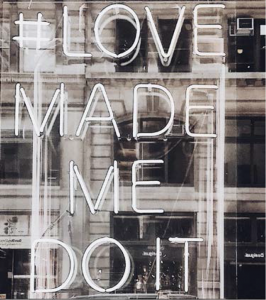 Love Made owns a trademark registration on LOVE MADE ME DO IT for apparel, which claims a first use of the mark in commerce in April 2013. Love Made operates a website at love-made.com. LOVE MADE ME DO IT was not coined my Love Made, it appears. Its the name of a 1978 (or 1983) song by Danniebelle Hal and a 2010 album by Swedish singer Elon Lanto. However, there’s no requirement that one coin a phrase in order to generate trademark rights in it. Sometimes when a phrase in is wide use it fails to function as a trademark. Although the phrase was used in some places, quick internet searching does not clearly show it to be in such wide use that it fails to function as a trademark. Love Made, LLC v. Victoria’s Secret Stores, Inc, No. 2-18-cv-00099 (C.D.Cal 2018). In 2010, Marcus Bender visited a TAO restaurant or nightclub in an attempt to sell Kia Vodka. After that attempt failed, Bender Consulting Ltd. (Bender), which Mr. Bender owned, filed an intent-to-use trademark application on TAO VODKA for alcoholic beverages other than beer, which later registered. TAO Licensing, LLC, petitioned to cancel the TAO VODKA registration. TAO owns several restaurants and nightclubs named TAO in cities, such as New York, and Las Vegas. TAO alleged that the registration was not valid because Bender did not use the mark in commerce prior to the deadline to file a statement of use, among other reasons. Bender asserted that its registration was valid based on one sample case of Vodka shipped to Mr. Bender from a Vietnamese distillery. Mr. Bender allegedly provided samples, at no charge, to three entities: (1) a shareholder of Kia named J.M. Stevens & Associates, (2) a restaurant across the street from Mr. Bender’s office in Hawaii named Tango Contemporary Cafe, and (3) a distributor named Northern Wine & Spirits. First, none of these three purported distributions was supported by corroborating documentation. This is a problem. The testimony of one witness without any corroboration is usually a very weak position on the issue of priority or first use. This is why it is important to keep documentary evidence of your first sale or shipment under a trademark. The shipment of the samples to Mr. Bender from the factory was not a use in commerce because the shipment was to the trademark owner and did not make the goods available to the purchasing public. Each of the distributions also failed to be a use in commerce because they were not a bona fide use in the ordinary course of trade. J.M. Stevens was a shareholder of Kai, a related company of Mr. Bender’s. Bender could not sell the vodka directly to The Tango Cafe because Bender was not a legally authorized distributor. And Northern Wine & Spirits never expressed any interest in the product and there was no written follow-up from either side. Another fun bit that makes Mr. Bender’s position suspect is that Bender “proposed a business relationship” with TAO in May 2012 seeking a six figure some of money to sell the TAO VODKA registration to TAO, despite having no sales of the product to that date. Its hard to sell a trademark when you have no sales under it. 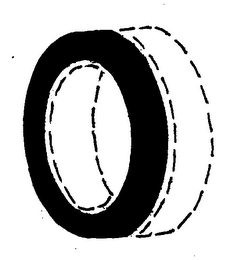 This case appears to again demonstrate the principle that speculating in trademarks is usually fruitless, and rights only attach on the bona fide use of a trademark. TAO Licensing, LLC v. Bender Consulting Ltd., Cancelation No. 92057132 (TTAB 2017). LNJ Vineyards LLC applied to register HAPPY NEW YEAR as a trademark for wine. The USPTO Examining Attorney refused registration asserting that HAPPY NEW YEAR did not function as a trademark when used in connection with wine. If you heard/saw “HAPPY NEW YEAR” in connection with wine, would you think its a brand or would you think it was the common sentiment wishing you a happy new year? People drink wine on new years eve and commonly wish each other a happy new year. So, the use of HAPPY NEW YEAR in connection with wine is not likely to be understood as indicating a source of wine, i.e. functioning as a trademark. The case would probably be even stronger if the goods were Champagne rather than wine. Not surprisingly, December is the month with the largest sales of champagne, according to the Guild of Sommeliers. So there is likely a strong connection between the HAPPY NEW YEAR sentiment and Champagne. When choosing a trademark, make sure that the mark is not in wide and common use as a sentiment with respect to the intended goods or services. Otherwise it may not function as a trademark. However, if HAPPY NEW YEAR was used on goods having no prior connection to new years celebrations, it could function as a trademark. 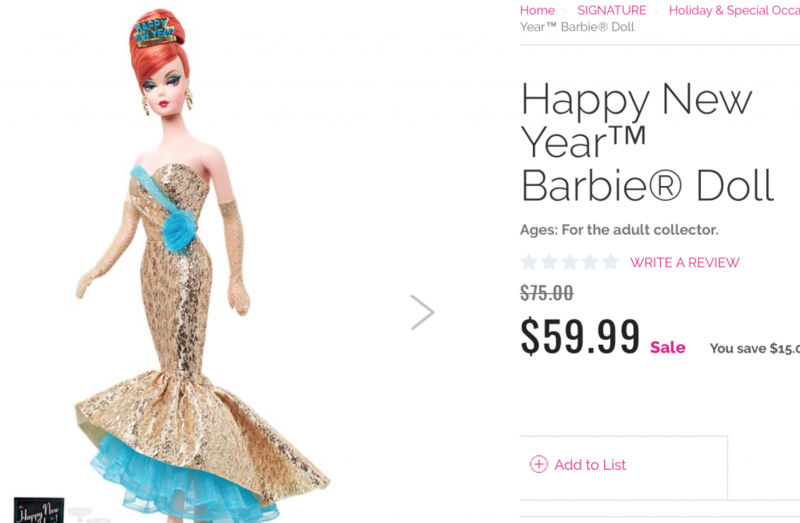 Mattel applied to register HAPPY NEW YEAR for dolls, doll clothing, and doll accessories. And the USPTO granted the registration. Of course, Mattel’s trademark registration does not stop anyone from wishing others a Happy New Year. This is a common misunderstanding of trademark law. Mattel’s rights are confined to the use of the phrase as a trademark in connection with dolls. How Important is the Description of Goods or Services in a Trademark Application? Raj Abhyanker is the owner of the lawfirm LegalForce RAPC Worldwide and of Tradmarkia.com. 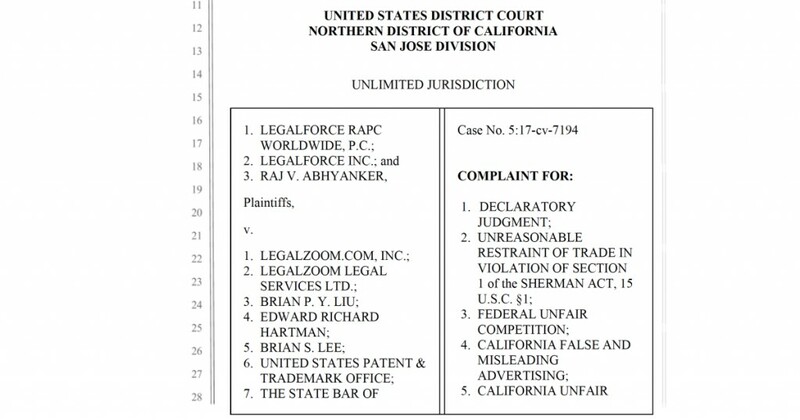 Raj and his lawfirm sued LegalZoom, the USPTO, and the State Bars of California, Arizona, and Texas based on what Raj alleged is LegalZoom’s unauthorized practice of law in connection with trademark application filing. Raj alleged that LegalZoom engaged in the unauthorized practice of law in connection with LegalZoom’s trademark application filing service. Raj and his law firm used LegalZoom to apply for two trademarks in connection with two of the Plaintiff’s businesses. In the process of using LegalZoom to apply for two trademarks, the plaintiffs allege that LegalZoom provided legal advice by selecting a classification and modifying the goods and services description for a trademark application from the template thereby applying specific law to facts. Crafting a description of goods/services is an important step that can impact the scope of rights that exist under a trademark registration. This is because trademark rights are normally measured in relation to the goods/services on which the mark is used. Drafting a description of goods/services is where many pro se applicants run into trouble. Sometimes drafting the description of goods can be relatively straight forward. But many times it is not. The description is important because it is what the USPTO will use to compare to other trademark registrations or trademark applications to determine whether there is a conflict. The comparisons occur in two types of situations. The second comparison situation occurs when the USPTO is examining later filed trademark applications. If your description is too narrow then the USTPO might allow a later filed trademark application to be registered. But if your application had a proper description the USPTO would have blocked a later confusingly similar mark from being registered. Therefore, a description that is too narrow will not properly operate to block later filed trademark applications that would otherwise be in conflict. As a result, a narrow identification of goods and services will necessarily narrow the blocking effect of your application and narrow your trademark rights. In addition, the description will be used by a court to determine the scope of rights that you have under trademark registration in a trademark lawsuit. For a description to be crafted and used without any attorney involvement is problematic given the importance of the description. Not surprisingly, according to the Complaint, Raj claims ethics attorneys advised him that he cannot have descriptions of goods/services prepared and used in trademark applications without attorney review, otherwise he would risk violating the unauthorized practice of law rules. At the complaint stage, we don’t know LegalZoom’s process exactly. Nevertheless, preparing a description (identification) of goods/services for a trademark application is an important step that impacts the scope of the applicant’s trademark rights. Citation: LegalForce RAPC Worldwide v. LegalZoom.com, Inc., no. 5:17-cv-7194 (N.D.Cal. 2017) [Complaint, Exhibits to Complaint]. If you buy a piece of land, a house, or a building, would you allow the title to that property to name your real estate agent or your maintenance contractor? No, you would not. When you are spending hundreds of thousands of dollars or more on something you make sure that you actually own it in your name. The same should be true when you buy a domain name for your website, regardless of the price. You should own and register it in your name, and not your technology provider’s name or anyone else’s name. When this is not the case, it can lead to a lot of problems and possibly tens of thousands of dollars in attorney fees to get your domain name back, as the following case appears to demonstrate. We Own It and Will Shut It Down, But Want to Negotiate Getting it Back? While this allegation does not directly say “buy/sell” its arguably implied that some compensation was sought. What compensation is sought? Maybe: I own it, but I’ll sell it to you for a fee (probably a large fee). Or maybe: we will transfer it to you if you continue to use us for your technology needs. This was the first mistake. Its my opinion that you should not allow your technology provider to register your domain name in the technology provider’s name. True, maybe many/most times it will not be an issue because you have a good level of trust with the technology provider. However, you never know when things are going to go south. If needed, have your technology provider come to your office and walk you through the steps of registering the domain name in your name. Make sure you are listed as the owner. Make sure you or a very trusted employee of your company is named as the contact. Further, make sure that if you are not the contact, that the contact email address is one where if email is sent to it, you are copied so you can be aware if someone tries to change ownership of the domain covertly. Domain names probably have a higher chance of being registered in someone else’s name because many times, if the name is available, they can be obtain for a small fee on the order of tens of dollars. Transactions that involve low dollar amounts tend not to undergo a lot scrutiny. I don’t know the original cost of registering FLNB.com, but its likely that it was for a nominal amount. If First Liberty had spent 100K+ on the domain name FLNB.com, I suspect it would have been registered in First Liberty’s own name, in the same way real property (land and buildings) would be, because such transactions get more scrutiny and more process. Yet, even if registering a domain name costs tens of dollars, you need to have it registered in your name. Having it registered in someone else’s name leaves you exposed to potential disputes about ownership later. Do you want to build your online brand on the sand of someone else’s domain registration or on a bedrock of a domain registered in your name? From the Complaint it appears that First Liberty has a good chance of recovering the domain based on a claim of cybersquatting. But it had to file a complaint and an emergency motion for a temporary restraining order against the defendants over the holidays. It’s probably going to need a hearing on that motion plus more legal proceedings if the defendants fight back. First Liberty could be in for $10,000 in attorneys fees or more to get the domain back. Not cheap and very stressful over the holidays. What is cheap is making sure the domain is registered in your own name before there’s a problem, preferably at the beginning. If its not currently registered in your name, have it transferred to you before there’s a problem. While the domain name should be registered in your name, that does not mean that you can’t have a technology service provider do the work of developing and maintaining a website at the domain. You can have contractors build and maintenance a building without the contractor owning and controlling the land and building. We are talking about ownership and control here, not access. The alleged facts naturally favor First Liberty at the complaint stage. Memran has not answered or responded yet to these allegations. So we don’t have Memran’s side of the story. Nevertheless, the allegations demonstrate the need of owning a domain name in your own name. 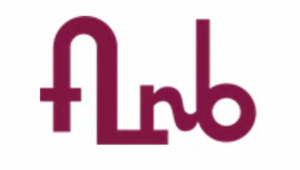 The image at the beginning of this post is of First Liberty’s FLNB trademark in stylized form, which it has allegedly used since 1972. Trademark rights are the foundation of a cybersquatting claim. GeoDynamics sued DynaEnergetics for trademark infringement of GeoDynamics’ REACTIVE trademark. GeoDynamics owned U.S. Trademark Registration No. 3,496,381 for the REACTIVE mark. After a bench trial the court found that REACTIVE was generic for the goods of fracturing charges for use in oil and gas wells and ordered the registration cancelled. The defendant moved for fees and the court agreed that GeoDynamic’s trademark case was exceptional based on the weakness of its case. GeoDynamic asserted that the case was not exceptional because, among other reasons, the REACTIVE mark had achieved incontestability status at the USPTO. The court rejected that view. The incontestability status was not a bar to finding the case was exceptional. Incontestability is somewhat misleading because “incontestability” is only achieved with respect to some grounds on which the registration can be attacked. 15 U.S.C. §1065. But a registration can always be attacked based on the allegation that the mark is generic. 15 U.S.C. §1065(4); 15 U.S.C. §1064(3). Citation: GeoDynamics Inc., v. DynaEnergetics US, Inc., No. 2:15-CV-01546 (E.D. TX Dec. 21, 2017). 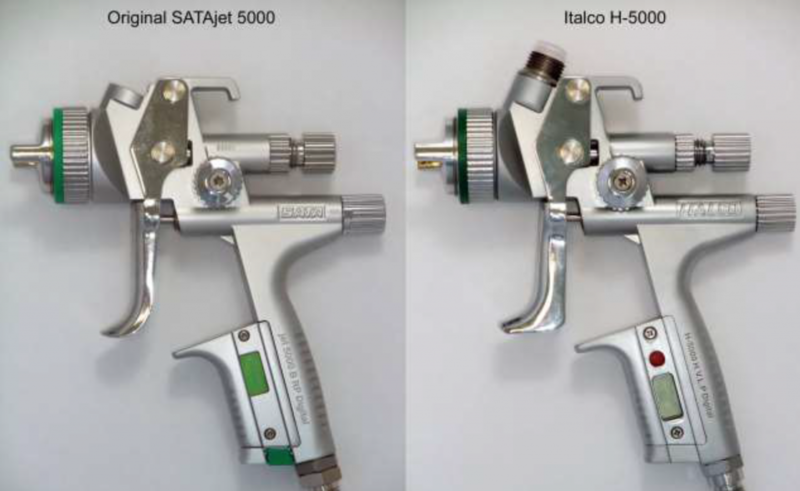 SATA GmbH sued Discount Auto Body and Paint Supply LLC for infringing its product design trademarks in the alleged sale of paint spray guns. SATA GmbH & Co. KG v. Discount Auto Body and Paint Supply LLC, No. 2-17-cv-03101 (D.N.V. 2017). 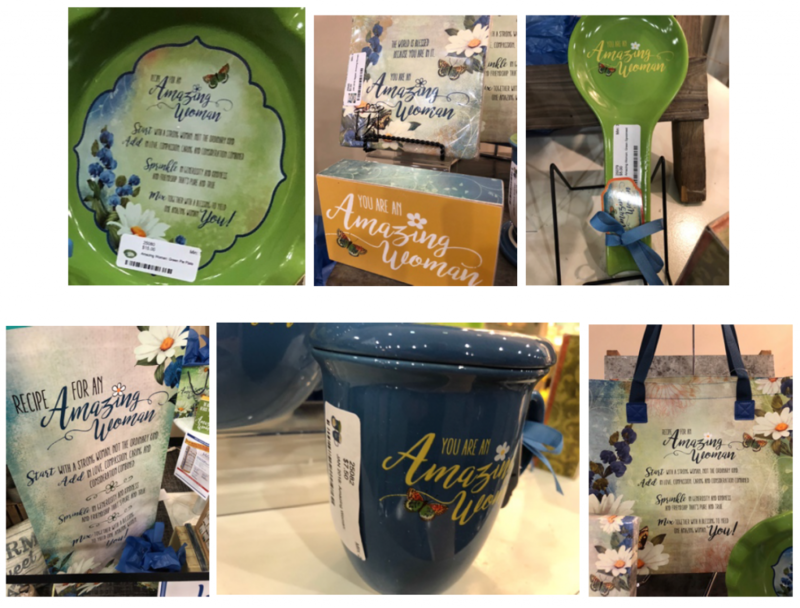 This case demonstrates that it is possible not only to obtain trademark protection in a product design comprising a single color applied to an area of the product, but also on any color applied to an area of a product. 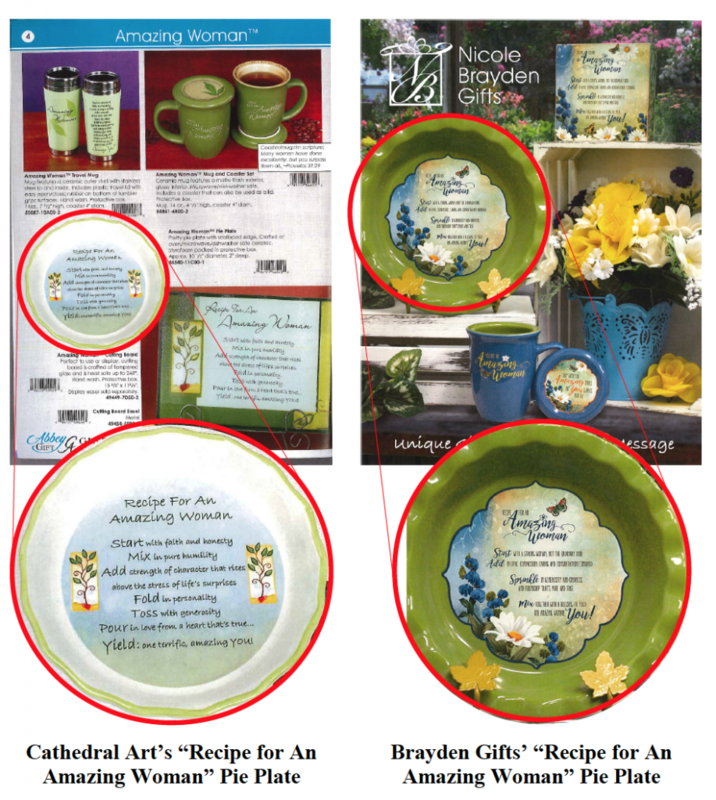 In other words, the use of any color on an area of a product can itself act as a trademark, indicating a source of goods and/or services. Therefore, the first trademark registration is directed to a green ring on a paint spray gun. 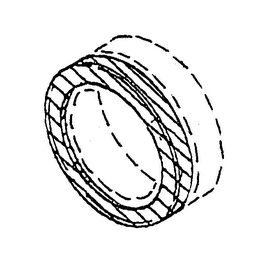 But the second trademark is directed to a ring of any color, as long as that color contrasts with the air cap ring. 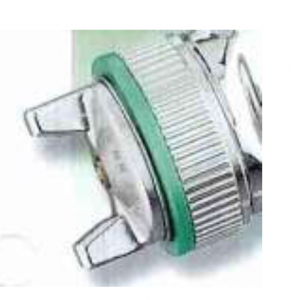 Below is a photo of the green ring deployed on SATA’s actual product. The principle of allowing the registration of multi-color design marks appears to be first addressed in a 1972 case where Data Packaging Corp. applied to register a design applied to a computer tape reels. In re Data Packaging Corp., 453 F.2d 1300, 1302 (CCPA 1972). The claimed design was to “a narrow annular band mounted on the front reel flange, adjacent to and concentric with the hub of the reel, in a color which contrasts with the reel flange.” The USPTO refused registration asserting that the law prohibited the registration of a mark which provided for the use of any color as its distinguishing feature. The SATA case is only at the complaint stage so we don’t have any rulings with respect to SATA’s marks. Nevertheless, the plead registrations demonstrate a multi-color design trademark registration. The Illinois Trademark Registration and Protection Act (“Illinois Trademark Act”) provides a system for registering and enforcing trademarks in Illinois. 765 ILCS 1036/1 et seq. However, in many instances there may not be any relevant cases interpreting the provisions of the Illinois Trademark Act. Section 90 of the Act may solve this problem by providing that cases interpreting the federal Lanham Act are persuasive authority for interpreting similar provisions of the Illinois Trademark Act. 765 ILCS 1036/90. …The intent of this Act is to provide a system of State trademark registration and protection substantially consistent with the federal system of trademark registration and protection under the Trademark Act of 1946, as amended. To that end, the construction given the federal Act shall be examined as persuasive authority for interpreting and construing this Act. Since there are many more cases interpreting the federal Lanham Act, section 90 provides those cases will likely be useful in understanding the meaning of parallel provisions of the Illinois Trademark Act.